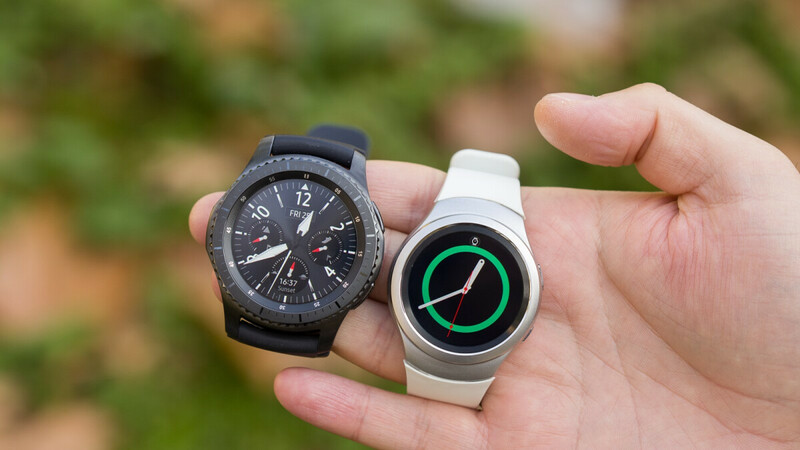 Just over two weeks before the unveiling of the Galaxy Watch, Samsung has begun rolling out a small but important update to the Gear S3 Classic and Gear S3 Frontier that fixes a pretty annoying issue which affected certain units of the smartwatches. In addition to the usual claims of stability improvements, Samsung’s latest software update to its smartwatch duo finally puts a stop to the overheating issues that have affected the Gear S3 models when charging – certain units would overheat at around 90% battery, forcing users to remove the wearable from the charger to allow it to cool down, and then subsequently place it back on in order to add the remaining 10% of juice. For those who may have been affected by the overheating issues, it’s worth noting that the update goes by the software numbers R770XXU2CRG3 and R760XXU2CRG3 for the Gear S3 Classic and Gear S3 Frontier respectively and occupies just 16MB of storage. Additionally, users can manually download the update via the Samsung Gear app that’s installed on a connected smartphone. But, with a bit of luck, there may be yet another update around the corner for Gear S3 users. Alongside the debut of the Galaxy Watch on August 9, Samsung is also expected to unveil a modified version of Tizen 4.0 that’s designed specifically for its wearables. Thus, if Samsung wishes to, it may choose to update its Gear S3 series with the newer version of the operating system over the coming months. Sounds interesting. I have the LTE and non-LTE versions of the Frontier as a hedge against Samsung breeding the desirability out of the coming generation of smartwatches. That being stated it's wait and see what's coming. I hope that this update will do some good and just maybe, for the Frontier LTE's invaluable service, I ought to get one more. DON'T DO THIS UPDATE! Make yourself a favor and forgot about this update, the battery will last less after this update!